Update! We are ready to begin everyone! Now you each have a section to work on that will be your piece. You will need to use a new layer when you create the coloring and shading. 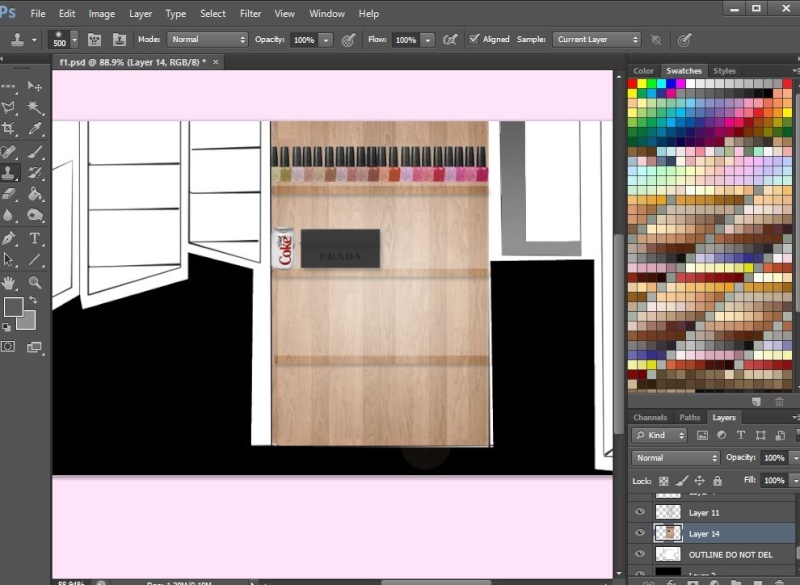 You will mostly work on coloring the main pieces unless more specified. 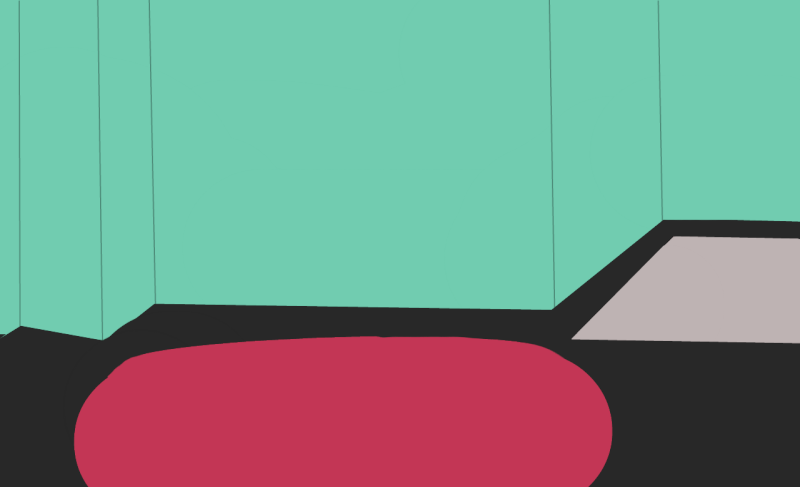 Once you finish your piece just remove this outline layer and send me your part as a png ONLY! We want to stick with a theme so if you need help just look to others who have finished their pieces. Main colors: Grey/Silver, Black & White, Seafoam green, and Dark pink. You can also use other complimentary colors as well that you think go best with it. 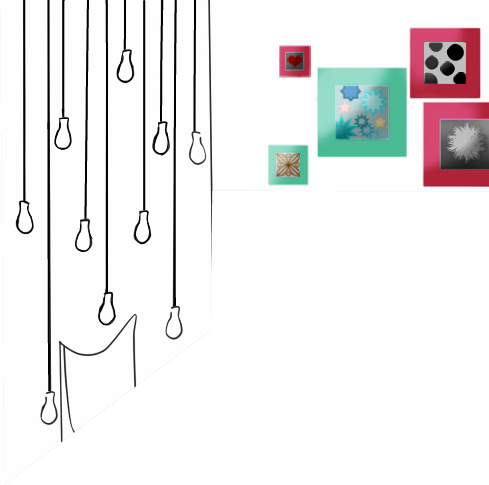 Florablossom: Wallart, make some fun art for the picture frames and then work on the lighting for the lightbulbs. Soap: Mannequin with a fashion on itthat I know you will make look perfect! Dancer4life315: We will need a pretty plant that is sophisticated to go with it and a decorated vase so you would be great for this. Pinksparkles10: We need the foundation to be the wall, floor, and rugs. I think that the floor should be hard wood of some kind maybe in a dark tone since it would go with about any of the other things in the background. I hope everyone likes the look of this! Once you finish your piece just post it here as a reply. They are all due by October 28th that gives you one week and then we have to put it together! and are these painting better? Well, here's mine... Did I do this right? Is there something I need to add on? 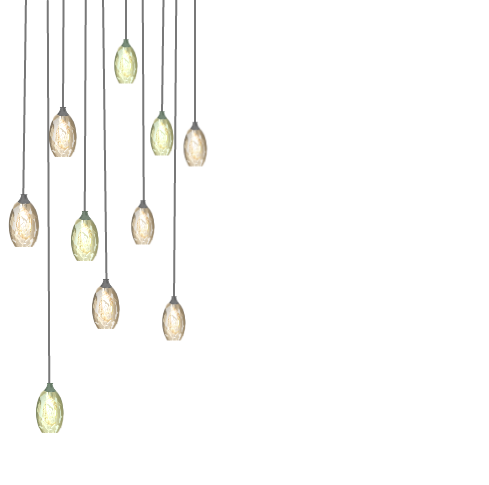 I made some hanging lights if you need some here it is. if you don't like them I can change them. Florablossom the pictures look better thank you. Angelinamc thank you so much for helping with that they look great! Phantom not to pick but if you could add more texture to things that would be great like make the rugs fuzzy or something and make them hard wood floors. I'd really like to see like a light grey or silver looking wall with some more design. Soap just pay attention to the note below and also could you make a material for the mannequin? Everyone just a note here... I notice everyone going overboard with just the two colors. Honestly if everything is that pink and green it is gonna look wayyyy too over done with that. We really need to make it so it all ties together but not overwhelming. Remember it needs to be kinda basic and neutral since the whole site is already colorful and it can't be too distracting. The ideal look is upscale, fashion designers studio. I am going to change the fashions and make the hangers a wooden color.. I'll try to make some fashions not revolved around green and pink, maybe grey/silver and lavender? Anything I can change? I know the "new" dress is really grey, but it well balance out better when added to the whole scene, I think. But I can make it more colorful. Soap it looks great thank you so much! Would it be better if I made the shelf grey so it's more neutral? Ooo I love the wood! woo! everyone's contributions are looking awesome! I finished my plant and vase. Is there anything/colors I should change? Also, what should I do for the walls and floors? One more thing. What should I do for the small piece of window/picture that is in my portion?